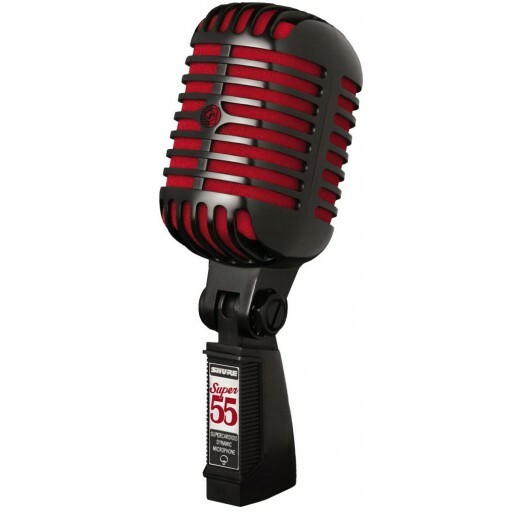 The Shure Super 55 Special Edition Vocal Microphone features a satin black die-cast body, supercardioid polar pattern, vibrant red foam, and tailored frequency response for natural vocals and speech. The Special Edition design and color scheme, combined with Shure durability and smooth audio quality, make this microphone ideal for any musician, collector, or audio enthusiast. Integrated, swivel stand mount is included.